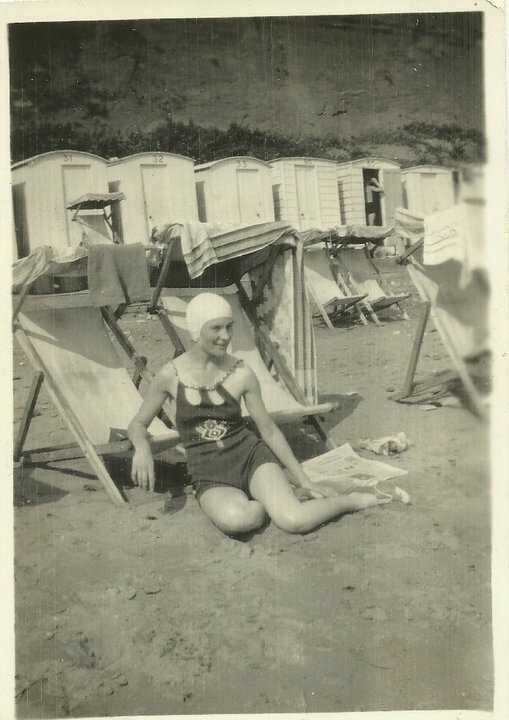 My Grandmother was a genteel woman. I grew up in the northern home counties so a trip to the Sussex coast was always a highlight – sea, sun when it graced our presence and the promise of great food. Mabs was typical of her generation, born at the beginning of the 20th Century and lived through two wars; one as a child, the other as a grown up. Her approach to food was honest, and for her age, daring. She was the queen of the cupcakes and lemon drizzle (more of that later). The cakes were always kept in an ancient biscuit tin, on top of the fridge freezer, well out of the way of my mucky paws. She had a larder, something I am envious of to this day, which was filled with all the essentials that she would use to turn the ordinary into something a little less so. My fondest memory of my grandmother is when she came to visit me while I was a student at Avignon University. We went to a wine cave where she sampled a little too much young wine and proceeded to put her coat on the wrong way and stagger down the road. Her spirit of adventure was running high and she decided she wanted to try Vietnamese food which she devoured. The following day we decided to visit La Fontaine de Vaucluse which includes a mile long slow climb to one of the most beautiful areas of Haute Provence. My parents and I were hung over, she looked at us, winked and started off, beating us to the top by five minutes. Not bad for a woman then in her 80s. One of the recipes that shows her spirit is lamb with special gravy, the name we called it, or lamb with tomato and cinnamon gravy. The rich smell of cinnamon would be present while we played bowls in her extra long corridor, would be there when we came back from the beach and would intensify the nearer we got to dinner time. I remember always being hungry when waiting for this dish to be served, the last half hour being particular agony as I couldn’t quite reach the cake tin on top of the fridge. I’ve amended her recipe to make the sauce a little richer and I’ve doubled the portions (to serve 8) because if you don’t eat it all, the meat, with a little of the sauce mixed in, makes a great sandwich filler. Rub the shoulders with the cinnamon, both sides and generously. Don’t be afraid, you’re going to cook this for a long time. Place in a high-sided roasting tin and cover with two cans of the chopped tomatoes. If it’s looking a little sparse, open the third and pour some more over. Add a half mug of water to the bottom of the tin and cover with thick aluminium foil. After 3.5 hours, put the onions inside a thick foil package with some olive oil, salt and pepper, close the package and put on the lower shelf. When your time is up remove the lamb and the onion package. The lamb will need to rest for one hour in the tin. This is the perfect time to crank up the heat on the oven and roast some potatoes (mum’s recipe on that to follow soon). Scrape all the tomato and cinnamon scraps of both shoulders into the roasting tin. Set the lamb aside ready for carving (or my preferred method, pulling apart). Place the roasting tin over a low heat with a splash of the stock to help get all the best bits off the bottom of the pan. Keep adding stock until you get all the bits off the bottom, but don’t make it too runny. At this point add the onions to the tin and mash with a fork. This is your thickener. Add stock and keep stirring over the heat till you reach your preferred pouring consistency. I like mine thick and gloopy.